Valorous Vanguard - Love is in the air! Class level raised to lv55! A new Emergency quest 'Where's the chocolate' - this involves running around the caves level (which is shaped into a heart, d'awww) saving various female NPC's from emergency code, which escalates into saving the cake sisters at the end. A new time attack quest, taking place on planet naberius (Forest/tundra/ruins) - unlike the others which have afew puzzles/traps, this one is just a pure killing vest, reminds me of the old maximum attack quests . Advance quests land in part two of this update, of which little infomation is known. Stuff that i missed out from the last update, because :lazy: and :Forgetful: so my bad :3. Part 3 of the last patch brought us the darkers den and code: clone. The spawns are.. insane, for once it actually feels like a real challenge - you find the hardest bosses inside (Triple boosted rare darker bosses, with, seemingly, a million hp+) with all their lovely grunt type spawns. It really is hard to get the picture across, but imagine phantasmal world 3 style maps, but in pso2, now add bosses that will one-shot you without mercy (or hit 700+). Combine that all at once and you have this quest. 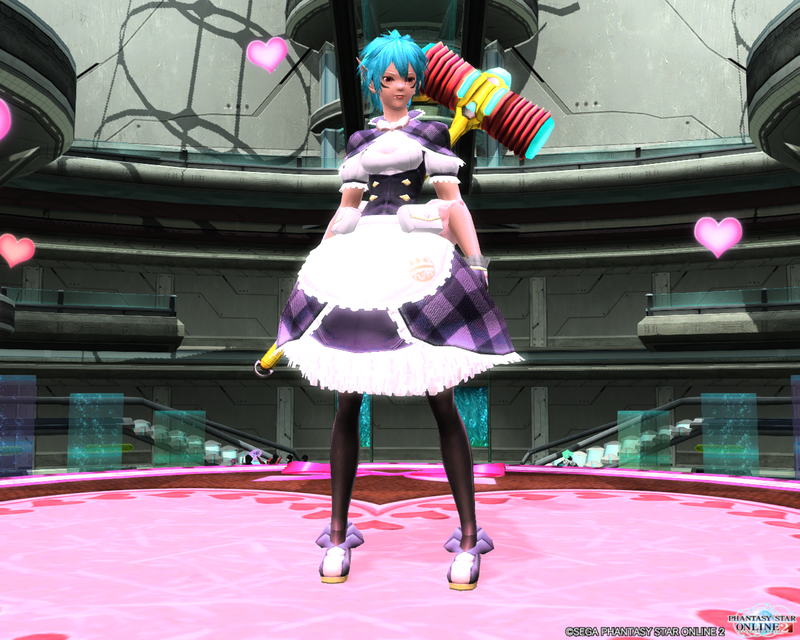 Pso2 - ship2: Player ID "dnd"
Plus, the darkers den looks & sounds amazing. Hope all this stuff does make it to PSO2 EU. PSO Stats | 1,100 BB Snaps! Last edited by dnd; 04-02-2013 at 04:23 AM.